Most people have heard of black tea and green tea. Many have even heard of white tea. But unless they’re tea aficionados, they probably haven’t heard of oolong tea. That’s a shame because oolong tea has many health benefits. Oolong tea differs from other teas in how it is processed. In fact, all teas are differentiated from one another in how they are processed. All tea comes from the leaf of the tea plant, and the different types of teas are processed in different manners to achieve different colors and tastes. Tea leaves can be wilted, bruised, oxidized, dried, cured, fermented, or smoked, depending on what type of tea the producer would like to make. In general, green tea is made by taking fresh tea leaves and either roasting or steaming them. Black tea is made by allowing the leaves to wither and oxidize. In fact, the first black teas may have been created by over-oxidizing oolong tea leaves. Oolong, then, is almost a hybrid in between black and green teas. Oolong tea leaves range from being barely oxidized to almost completely oxidized. That allows for a wide variety of different flavors and aromas among oolong teas. 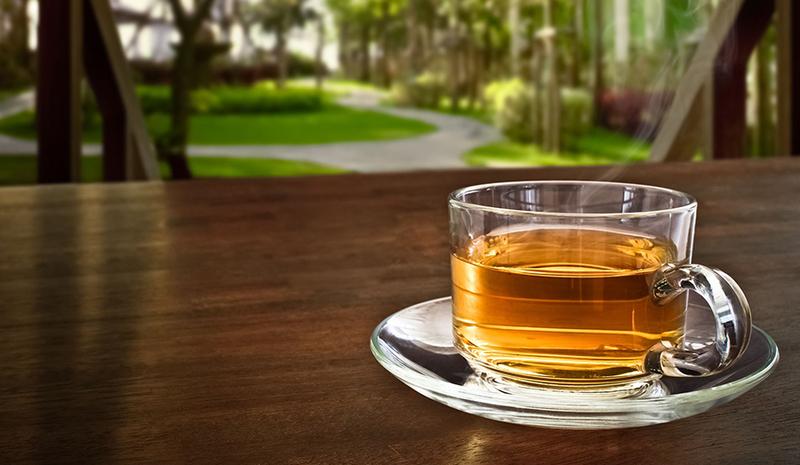 In terms of the amounts of antioxidants and caffeine it contains, oolong tea measures between green tea and black tea. The more oxidized a tea is, the more caffeine it contains and the lower its level of antioxidants, and vice versa. Besides havings lots of antioxidants, oolong tea has additional health benefits. Studies in China have shown that those who consume at least ten ounces of oolong tea per week have lowered risk factors for heart disease, with those having long histories of tea consumption showing lower levels of cholesterol. Studies in Japan have shown similar reductions in heart disease risk for those who drink oolong tea. Additional studies have shown that tea consumption might help in weight loss and reduce the risk of developing type 2 diabetes and various forms of cancer. As with other forms of caffeinated drinks, those who are sensitive to caffeine may want to proceed with caution. Drinking tea is also known to reduce the ability of the body to absorb iron from plant foods such as leafy greens, so those susceptible to anemia may also want to be cautious. But if you want to enjoy some of the health benefits of tea drinking, find an alternative to coffee, or start exploring the wonderful variety of teas that exist, oolong tea is a great place to start.